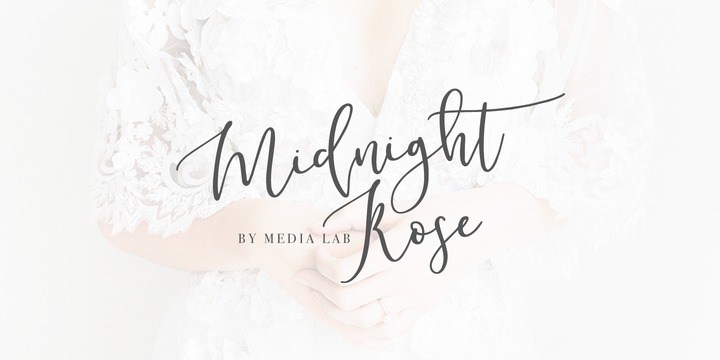 Midnight Rose is a handwritten, calligraphic typeface created by Dmitriy Chirkov and published by MediaLab.Co which comes in a Regular style, OpenType features and multilingual support. With an elegant touch is ideal for your wedding project, advertising, editorial purpose, magazine etc. Have fun! A font description published on Wednesday, January 24th, 2018 in Dmitriy Chirkov, MediaLab.Co by Alexandra that has 947 views.